The Nano Legacy Cabinet was designed from the bottom up especially for Nano amp heads, but it can be matched with any micro head you like – and it works for guitar and bass alike! In order to guarantee a good bass response and quality highs and mids, the Nano Legacy Cabinet utilizes a special Hotone-designed speaker. 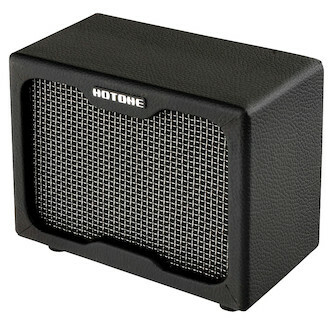 It also boasts an inverter tube design – found more often in hi-fi amps than guitar amps – which also helps with the bottom end. Unique among other guitar cabs, the Nano Legacy Cabinet has both IN and OUT jacks, so you can connect cabs together.